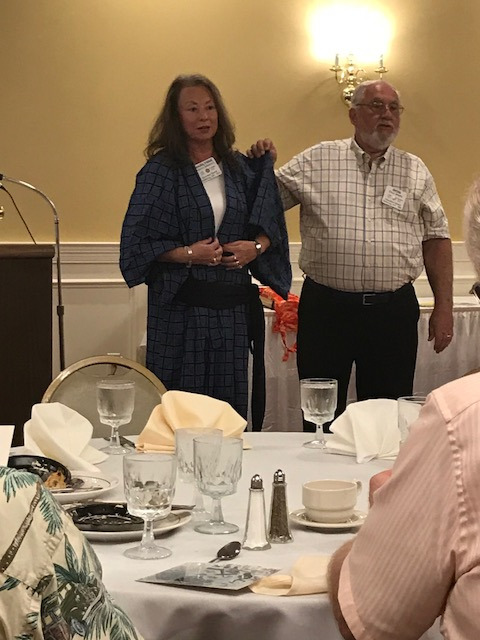 In the 1970's .Don was one of 14 educators that had a private invitation to travel to Japan from a gentleman who ran prestigious private schools there. Today Don shared some great memories and memorabilia with us. Many highlights of his trip were both funny and heartwarming. 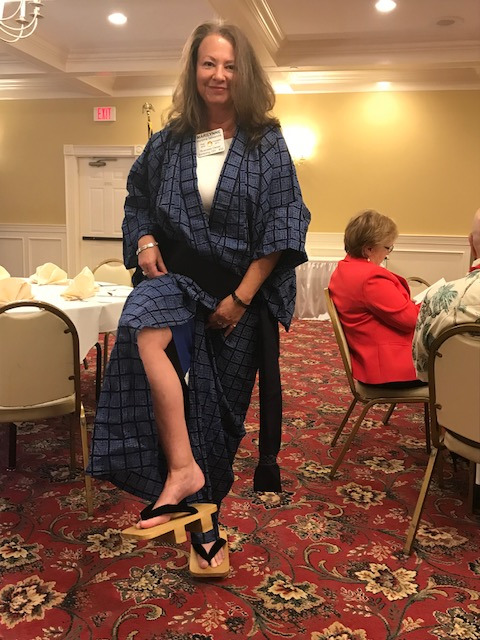 Here you see his lovely assistant, Marilynne, modelling a traditional Kimono. 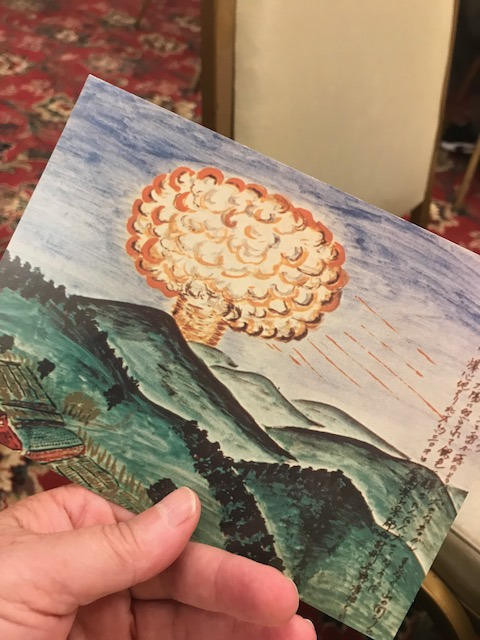 He showed several postcards of drawings of Hiroshima, as depicted by the survivors.